A native of North Dakota, Tom Porter is a Professor of Music and Chair of the Music Department at the University of Mary in Bismarck, where he directs the Concert Choir and Vocal Jazz, and teaches music theory, sacred music, and conducting. In addition, he directs the Bismarck-Mandan Civic Chorus and the Dakota Chamber Chorale. In demand as a clinician, adjudicator and guest conductor, Tom has presents workshops on composing, contemporary music, incorporating theory into the music classroom, and American folk songs, and conducts All-State and regional honor choirs. 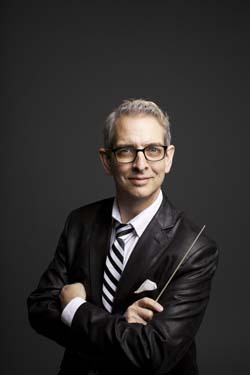 From choral music to orchestral fanfares, Tom has written commissioned works for organizations such as the San Francisco Girls Chorus, the National Pastoral Musicians Association, the North Dakota Music Teachers Association, the Bismarck-Mandan Symphony Orchestra, the Central Dakota Children's Choir, and the Bismarck-Mandan Civic Chorus, as well as private commissions. He loves the collaboration of the commission process and has worked with schools, community and professional organizations to create unique and timeless pieces of music. Tom was awarded the North Dakota Governor's Award for the Arts, the Outstanding Alumni Award from the University of Mary, the Faculty Achievement Award from Bismarck State College, and the Crystal Apple Award in Higher Education from the Chamber of Commerce. He is a past member of the North Dakota Council on the Arts, and has served as the chair of the National Symphony Orchestra residency committee and on the board of the Central Dakota Children's Choir. Porter earned a DMA in Choral Conducting from the Conservatory of Music at the University of Missouri, Kansas City, an MA in Theology (Liturgical Studies) from the University of Notre Dame, an MA in Music from DePaul University, and a BA in Music from the University of Mary.